As a fan of magical girl anime genre growing up, I can't help but feel excited but cautious about this announced series. 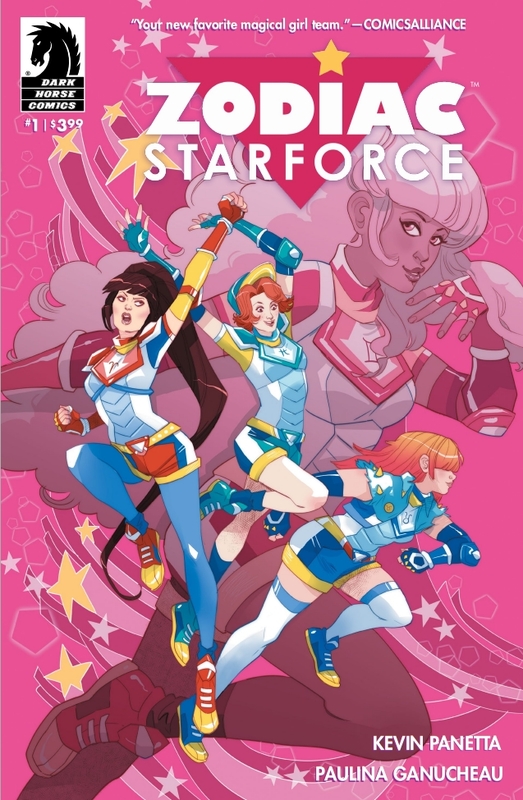 The story follows a group of, you guess it, girls that can magically transform into heroes that uncannily has attributes that resembles the Sailor Scouts. Starting off with a ditsy blond and adding various friends that fits certain stereotypes, it follows the Sailor Moon formula quite closely. While beautifully colored (with assistance by Savanna Ganucheau), the artwork by Paulina Ganucheau is quite hit or missed especially with the anatomy of the characters and layouts. With some of the scenes, you can tell the targeted audience is a bit older than what Toei Animation was going for with Sailor Moon. The story starts off with the group disbanded after beating their nemesis over a year ago. 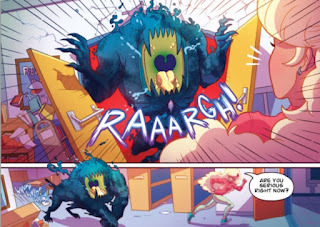 When Emma, gets attacked by a monster at school, the band seeks help from their mystical mentor. Overall, I would not recommend the series based on what I have seen so far. The first issue just doesn't intrigue you enough paired with the horrendous character designs makes this a series to be missed. Instead get your magical girl fix on Hulu with Sailor Moon Crystal or even the original manga/anime of Sailor Moon.